New control has been released for developers who don’t want to display huge amount of data and don’t need different row styles in a list control. 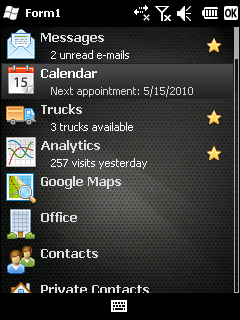 If you need these features then you should use BeeMobile TouchList control. It is easy to configure the TouchListLite and it is perfect for simple lists. It allows you to display 2 transparent images and 2 text items in a row.